AMBLER, Pa. -- Authorities in suburban Philadelphia say a respected detective stole $7,000 in drugs and cash from an evidence room to feed an addiction before apparently taking his life. Montgomery County District Attorney Kevin Steele says Upper Dublin police had started to investigate weeks earlier and found cocaine, heroin and other drugs missing. 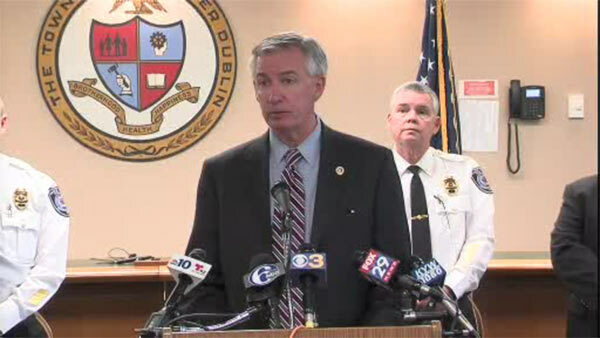 Investigators say they traced the thefts back to Upper Dublin Detective Michael Gommer. Steele says the 41-year-old Gommer kept his addiction hidden before his Dec. 30 death. His obituary says he is survived by a wife and four children, and enjoyed coaching his children's sports teams and distance running. Officials are reviewing 11 active cases and informing lawyers who worked the closed cases from 2010 to 2016. Steele says the death shows that addiction can befall anyone.